Whether its being told to call a general communications line, contact a spokesperson or send questions through a public information officer, in many instances, journalists are not allowed to speak to people intimately involved in the issues they cover. Sometimes they are not even allowed access to individuals being named in their stories. Its a common practice both government and non-government agencies have put in place, making it extremely unlikely that staff members will mention to reporters things like storage areas that might contain illegally-held pathogens; or young children drinking lead in their water; or insider trading with the help of a federal employee. Over the last 25 years or so there has been a relatively rapid trend toward prohibiting staff members from communicating to journalists without reporting to some authority, often public information officers. The restrictions have become, in great part, a cultural norm in the United States. They also have become an effective form of censorship by which powerful entities keep the public ignorant about what impacts them. The Society of Professional Journalists has made fighting these restrictions a priority, in part because many public officials and journalists are silent about them, making the rules particularly potent. This Censorship by PIO works in tandem with other assaults on free speech including restrictions on public records, threats and physical assaults on reporters, prosecution of whistleblowers and threats of prosecution against reporters. Leading dozens of journalism and free press groups, SPJ sent letters to President Donald Trump and former President Barack Obama demanding attention to this issue. In addition, a SPJ led a delegation representing 53 groups in a meeting with the President Obamas press secretary at the White House in December 2015. The delegation of journalists  from SPJ, the Society of Environmental Journalists and the American Society of News Editors  were promised a response to their concerns but never received one. – Seven of 10 journalists said they considered the government controls over who they interview a form on censorship. – Forty percent of public information officers in public agencies at various governmental levels said there are specific reporters they block from talking to staff because of problems with their past stories. – Over half of political and general assignment reporters at the state and local levels said interviews must be approved at least most of the time. The majority of those reporters said officials monitor interviews at least some of the time. A majority also said agencies or PIOs have prohibited them from interviewing employees, at least some of the time. These restrictions have become an illustration of the inevitable corrosiveness of censorship. Millions of people are silenced about how their workplace affects people. Managers use the control mechanism to keep everything from the public except the story they want people to hear. 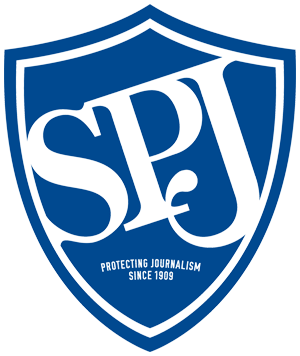 On this page, you will find links to documents detailing SPJs fight against these restrictions, the completed surveys done and news articles about the restrictions. SPJ and other organizations will keep fighting for more government transparency because we feel the fight is crucial for a safer, more informed society that holds government offices and officials accountable. – Social Security Knows Who We Are. Do We know Who They Are? SPJ has now sponsored seven surveys on this issue. – 2017: "Gatekeepers Under Siege: Assessing Factors of Governmental Public Information Officers' Controls on Journalists," by Carolyn S. Carlson and David Cuillier, Newspaper Research Journal, Vol. 38 No. 2 Spring 2017. For a copy, contact ccarls10@kennesaw.edu.